John Shipley, the longtime director of the Aviation and Missile Command’s Aviation Integration Directorate, and a recipient of the Joseph P. Cribbins award from the Association of the U.S. Army’s Redstone-Huntsville chapter, was inducted in the Army Materiel Command Hall of Fame during his retirement ceremony at Joint Base Langley-Eustis in January. Gen. Gustave Perna, commander of Army Materiel Command, presided over the induction and retirement ceremony. 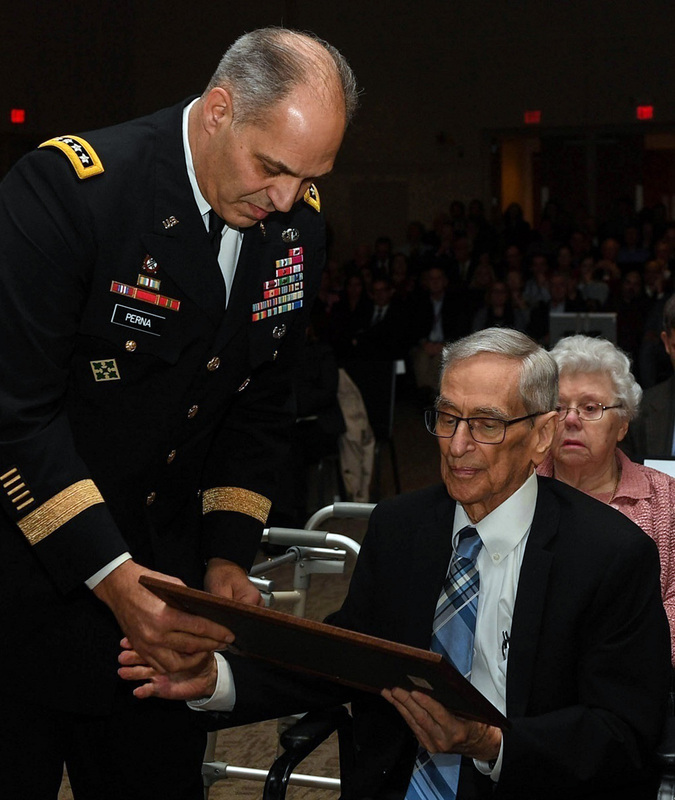 More than 300 family, friends and colleagues from across the Army and the aviation enterprise attended the ceremony at which Shipley was honored for more than 60 years of service. “There is a cliché we have all heard—‘He was a legend in his own time.’ But when that is said about Mr. John Shipley, it is not a cliché. It is the truth. And that is why we are all here today—to honor a living legend,” Perna said. As the AID director, Shipley was responsible for the development, acquisition, modernization, fielding and sustainment of Army special operations’ classified and unclassified aviation fleet. AID was established as a result of lessons learned from the failed Desert One mission in 1980 to rescue 53 Americans held hostage in Iran. Shipley paid tribute to special operations pilots and crews, including special thanks to members of the 160th Special Operations Aviation Regiment. Shipley said when he first started, they flew an average of two rescue missions a year.